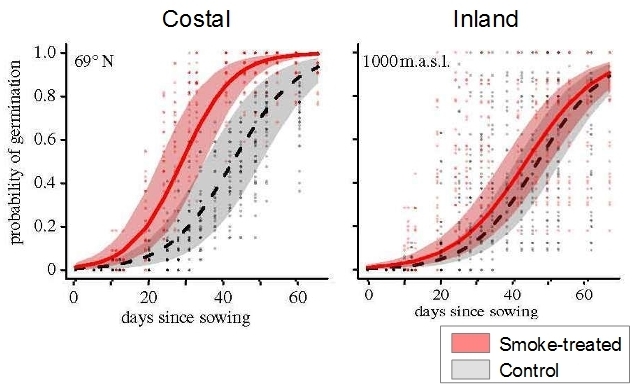 This post is a bit off the main topics of this blog, but I found an interesting study that I would like to share . Using virtual reality tools, the authors of this study performed an experiment placing white people with a body of black people for about 12 minutes. They compared the results of a test for racial bias performed few days before the experiment with the results of the same test performed after the experiment, and found a clear reduction in the scores! I guess virtual reality could be a tool to increase empathy, and therefore respect to the difference. So perhaps racism is curable! 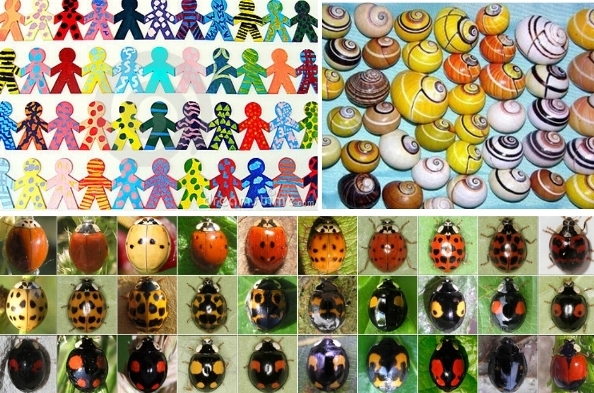 Figure: Team of happy people working together (www.dreamstime.com; top left), variability of the Cuban Polymita (top right) and variability of the Harlequin ladybird (Harmonia axyridis; bottom; source). The 4th of February, 2014, a forest fire burnt ca. 200 ha in Segorbe, near Valencia, eastern Spain. Two months later (1st April 2014), few plants had started to resprout, others had started to germinate, but there were three species that had resprouted very quickly and were already flowering: Asphodelous cerasiferus (= A. ramosus; Spanish: gamón), Iris lutescens, and Asparagus horridus; the first showed an spectacular blooming (pictures below). 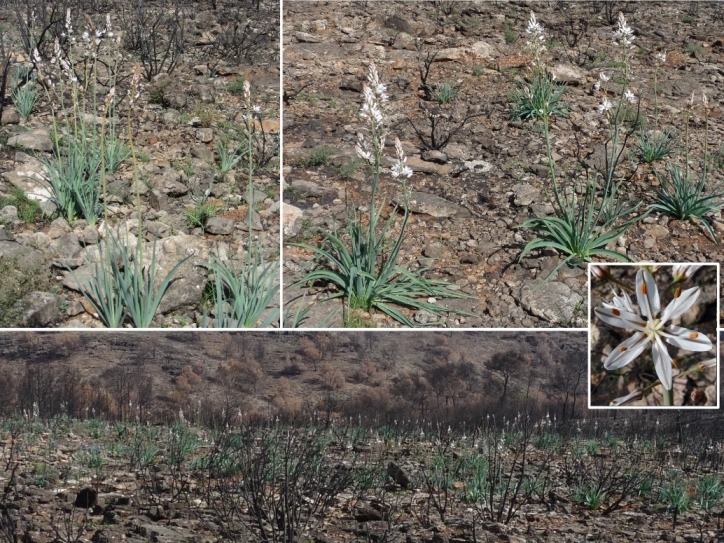 Spectacular postfire bloom of Asphodelous cerasiferus in Segorbe, near Valencia, Spain (photos by MC Castellanos & JG Pausas, two months after fire). No a la guerra! – Otra vez! !